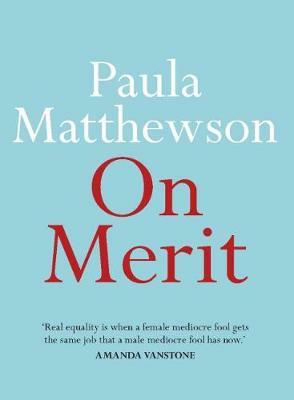 Merit has very little to do with the increasing dominance of men in the modern Liberal Party. Yet Liberal women continue to defend it. Until now. On Merit explores this imbalance, its implications for the party's future, and how a pair of red shoes may spark a rebellion against the merit myth.